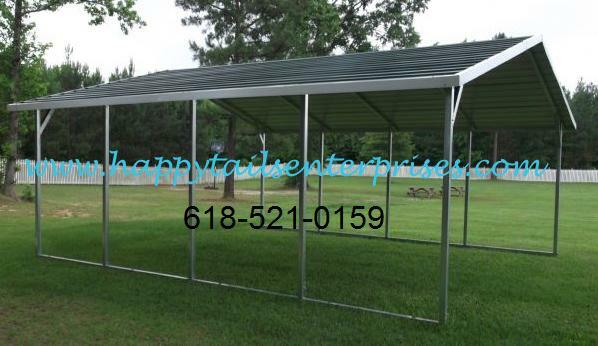 Standard features, for all Carports featured on this page, include galvanized 14 gauge structural steel, primed and painted roof panel with a baked on finish, braces on all legs, center snow braces on all trusses, *22′ and 24′ wide Carports now have 4′ welded bracing on all trusses to add to the durability, and strength of your new Carport at no extra charge. Driven pin anchors, or concrete anchor included. Mobile Home style anchors available as an option at extra cost. Our carports are the finest in the industry, and are installed by factory trained technicians using only materials proudly made in the USA. No cheap imported steel is ever used. 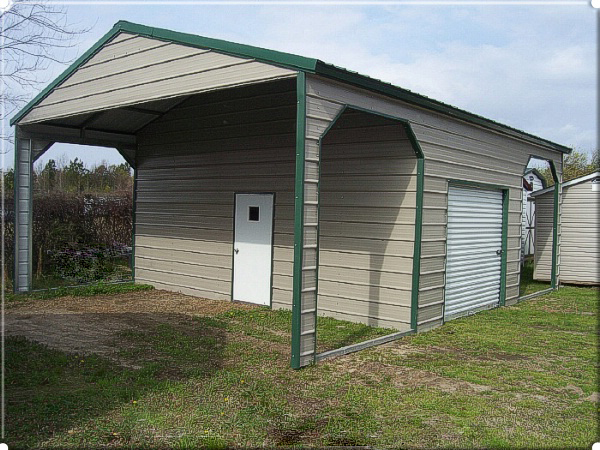 We manufacture custom sized carports all the time. 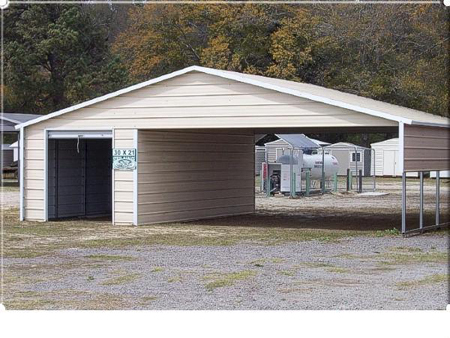 Any size smaller than a 12’x21′ is priced as a 12’x21′ carport. In between sizes are priced at the next larger standard size. Need financing? We have financing, too. Up to 1 year same as cash. Call our office for details. 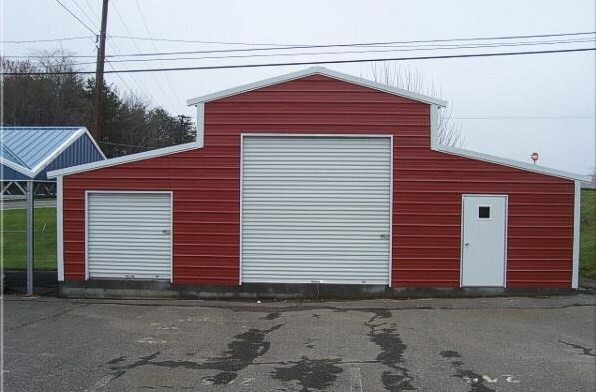 Questions about our Carports? Contact us below. Estimated installation time beginning April 1 is 1-4 weeks. 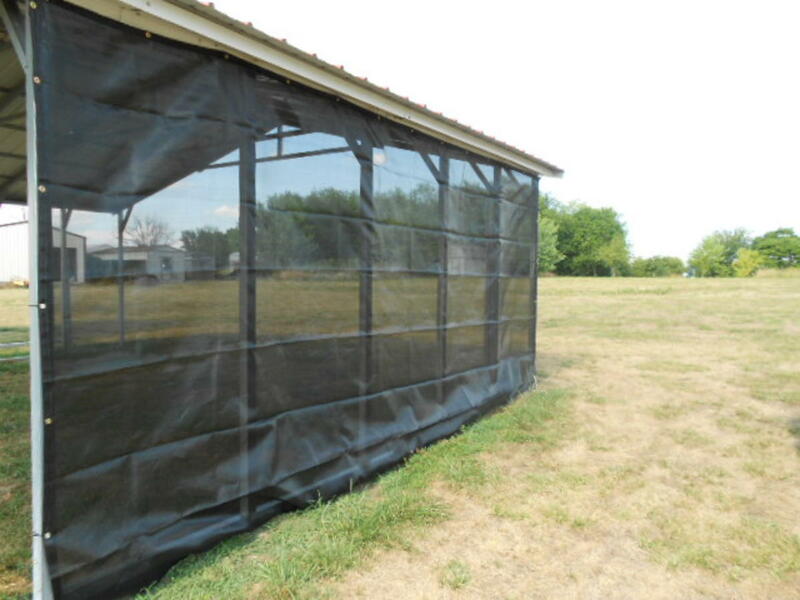 Our installations crews work year round! 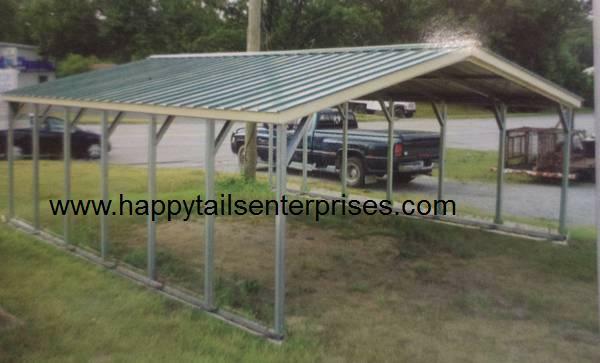 All Regular Style Carports featured on this page have a 6′ upright standard on 14 gauge units. 12 gauge units have a 20 year warranty aganst rust through on the structural steel. 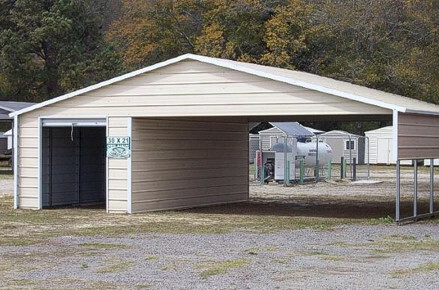 All carports featured on this page now have 2′ galvanized steel braces on all uprights as well as 2′ galvanized steel center braces on all trusses on 12′-20′ wide carports. 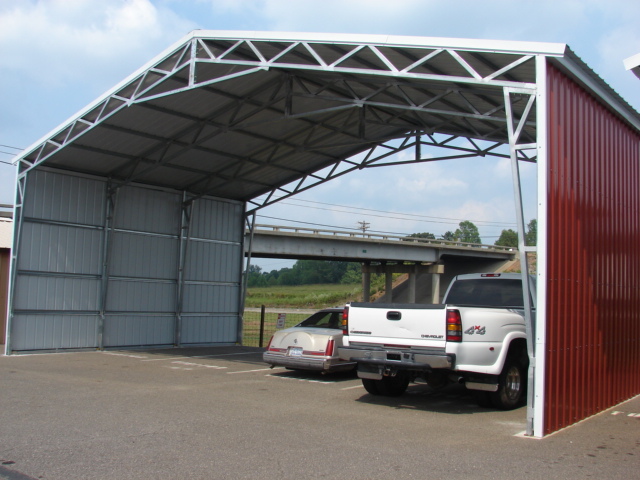 22′-24′ wide carports have 4′ welded in center brace on every truss for both strength and durability. 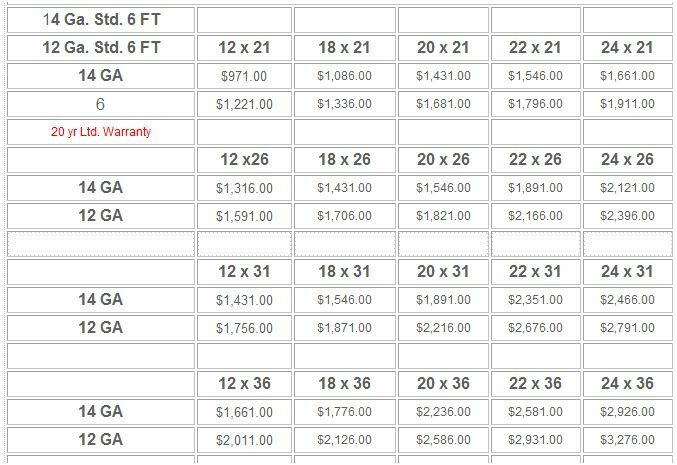 Prices, standad features, and option prices may vary. 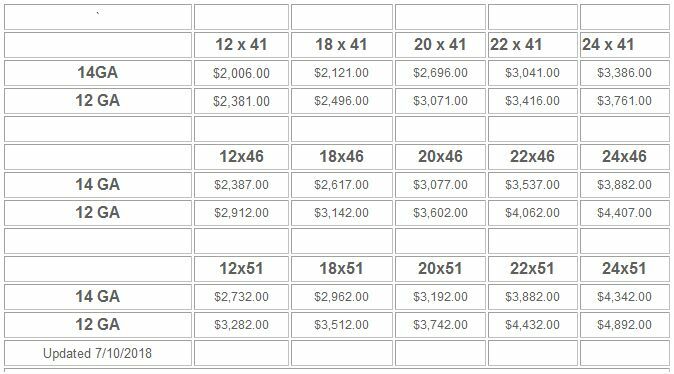 Call us today for a quote on the structure of your choice. 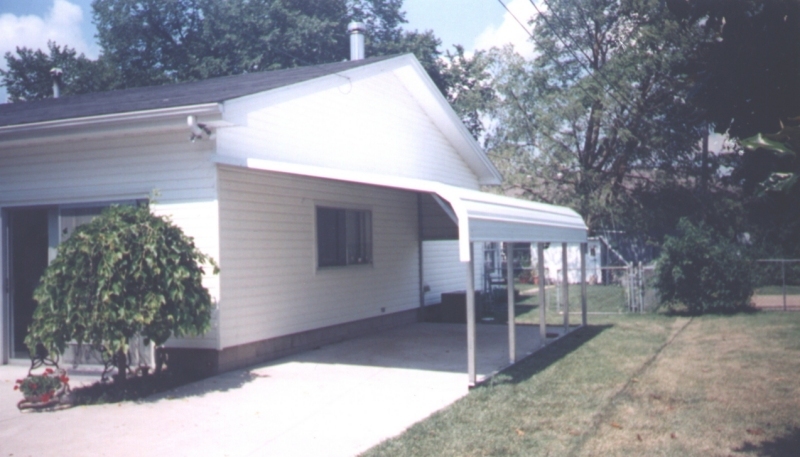 See our Carport Options page for pricing to add height, close sides, ends, windows, doors, etc. The Vertical Roof Style is recommended for structures longer than 31′. 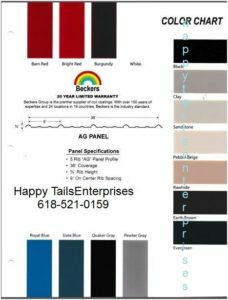 Prices on this page are for our customers in Illinois, Missouri, Indiana, Iowa, Kansas, Oklahoma, Arkansas, and Nebraska. 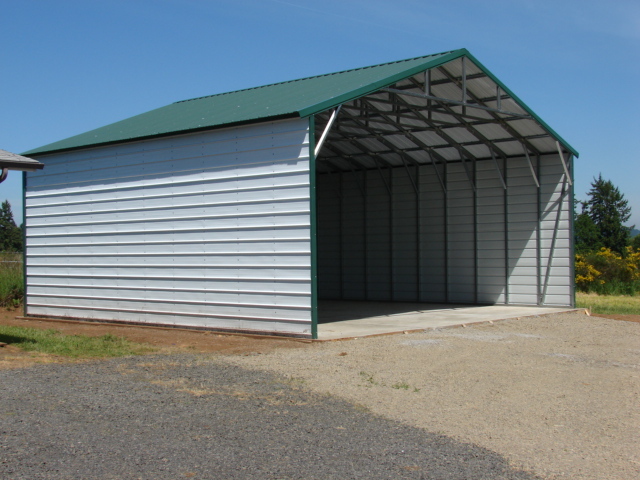 All Boxed Eave Carports have 6′ uprights standard, both 14 gauge and 12 gauge. 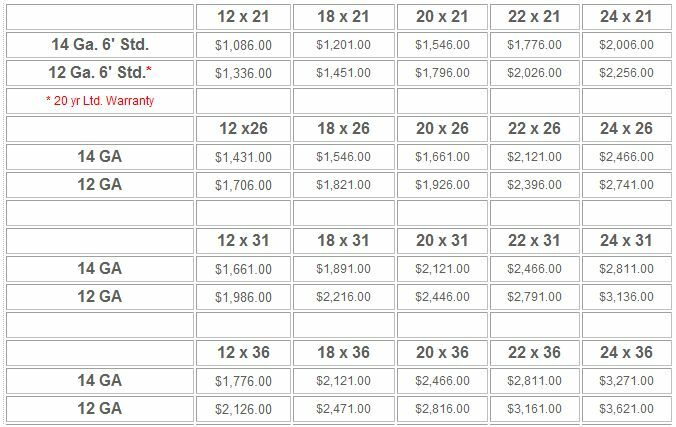 All carports featured on this page now have 2′ galvanized steel braces on all uprights standard, as well as 2′ galvanized steel center braces on all trusses on 12′-20′ wide carports. 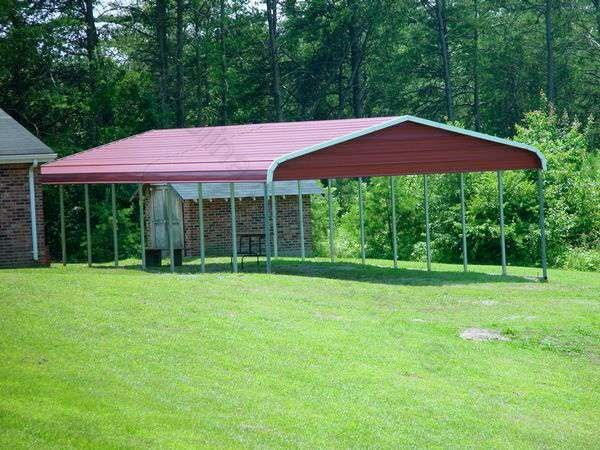 22′-24′ wide carports have 4′ welded in center braces on every truss for both strength and durability. 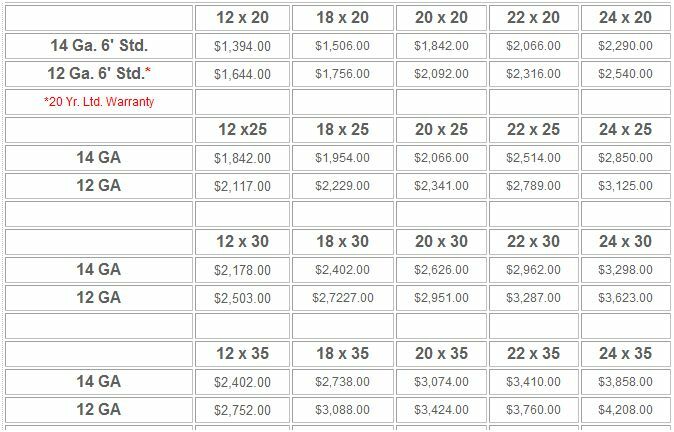 All carports featured on this page now have 2′ galvanized steel braces on all uprights standard, as well as galvanized steel center braces on all trusses on 12′-20′ wide units. 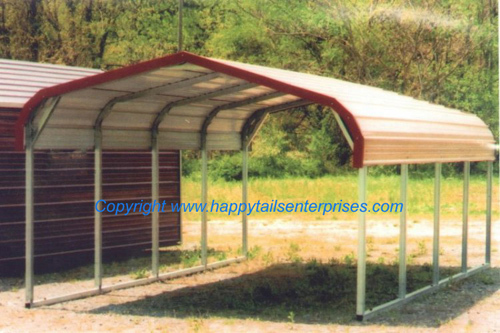 22′-24′ wide carports have 4′ welded in center braces standard on every truss for both strength and durabilty. GROUND ANCHORS OR CONCRETE ANCHORS AS NECESSARY ARE USED. ALL STEEL PANELS ARE 29 GA. ZINC CHROMATE PRIMED BOTH SIDES, PAINTED 1 SIDE. BASE RAILS ARE 1 FT SHORTER THAN ROOF LENGTH WISE. AS ALWAYS, FREE DELIVERY AND INSTALLATION ON YOUR LEVEL LAND. LOCATIONS THAT ARE NOT LEVEL WILL HAVE BUILDING INSTALLED “AS IS”. 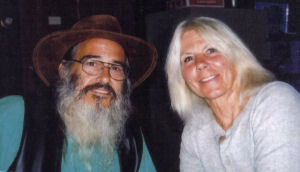 A $100 RETURN FEE IS CHARGED IF WE CANNOT INSTALL ON THE INITIAL TRIP. WE HAVE 13 DIFFERENT COLORS AVAILABLE TO MATCH MOST STANDARD PAINT COLORS. 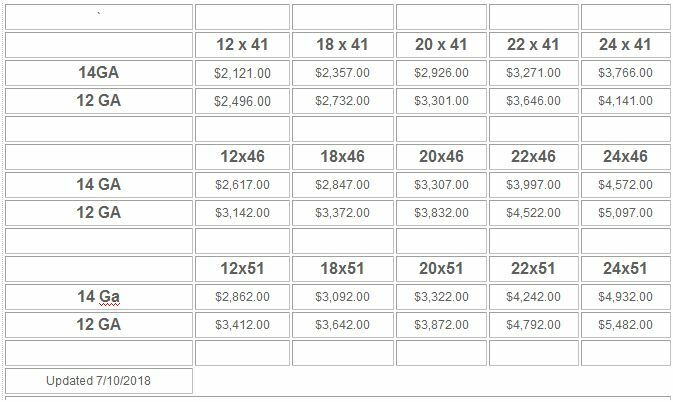 THESE PRICES ARE GOOD IN OK, AR., IL, MO, KS, NE, IN. 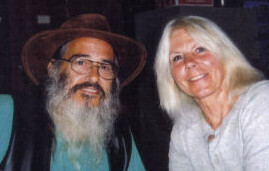 WE SERVICE 45 STATES. PLEASE CONTACT US FOR A QUOTE IN YOUR AREA. 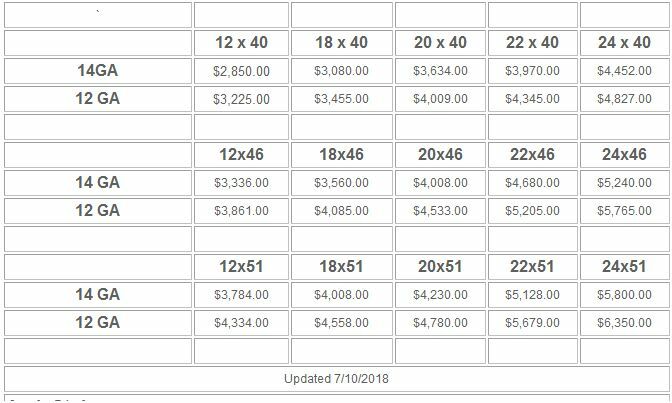 We try very hard to keep these pages updated, however prices are subject to change without notice.